It’s been only a few short years since Robbert van de Corput broke out in to the music scene and since then his career has skyrocketed. 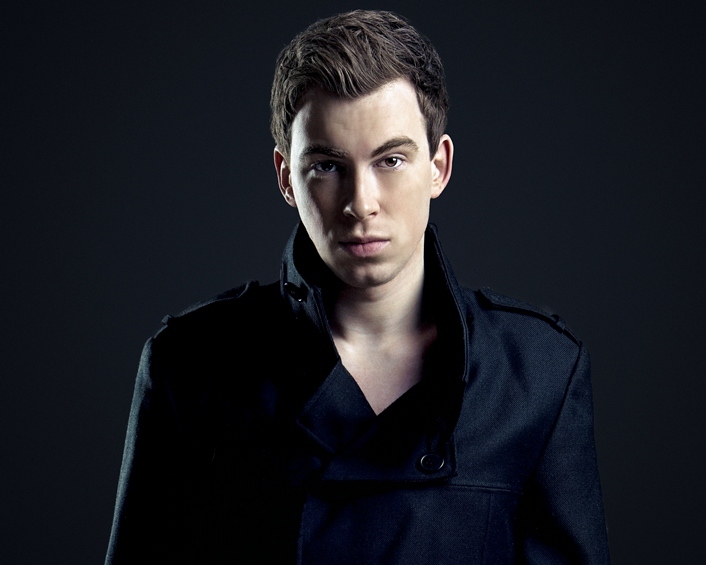 Known to most by his stage name, Hardwell, this Dutch progressive and electro house DJ and music producer is unstoppable. Already on his fourth compilation remixed album and dozens of remixed and original tracks under his name, Hardwell is definitely heading to the top of the list of the best DJs in the world. He has produced EDM hits such as “Apollo”, “Cobra”, “Encoded” and so many more and has worked alongside International superstars such as Tiësto, Alesso, R3hab, Chuckie, Laidback Luke and so many more. Hit after hit, he has remixed almost every track out there and when he’s on stage, the crowd goes absolutely insane-it’s no wonder why he was voted #6 on the DJ Mag’s top 100. I caught up with him while he was in Miami in the green room at Story and first off, I have to say he was a cool dude. His stardom is something that he maintains humble about and hanging out with his friends and opening act, Danni C and taking shots before he takes over the decks, you could see how much passion he has for what he does. I was able to get in some questions and here’s what he had to say. It’s been a great year for you, you were voted #6 on this year’s Top 100 from DJ Mag, how does that feel for you? It’s an unbelievable feeling, to have so many fans so dedicate, voting for me. I really appreciate that,it’s really crazy, it’s really amazing. As a little kid that’s only a dream to come up so high on the DJ Mag countdown, you get to tour the world- it’s all just so crazy. What advice do you give to kids and young teens who want to get in to the DJ scene, right now EDM has become so popular and accepted, what do you suggest for those looking to get in to the industry? Well it’s really important to produce your own songs nowadays. A lot of the DJs who actually break through, are the ones who actually produce music. I think the biggest example is Avicci, he started producing music and became one of the biggest pop stars in the world and now one of the biggest DJs. What gave you the initial push to get in to the scene? My love of music and my passion for music in general; I was 4 years old when I started playing piano, 10 years old when I discovered dance music and started producing my own songs. I was 14 when I signed my first record label in Holland. Who are some of the DJs that you look up to for influence when you are in the studio? My inspiration comes from all types of music so when I listen to whatever. For example and old album from Eminem or when I see what’s hot on the Beatport top 10 right now. My biggest role model though is Tiësto, we were born and raised in the same city in Holland and he is a living legend. The guy opened the doors for us worldwide. Opening the Olympic Games was just ridiculous. He was the only DJ that was hired by the arena and produced his own show with the lights, the music, the visuals. That is amazing for a DJ. What has been an “Aha” moment in your career where you turned to yourself and said “Wow, I am really doing this”? I play a lot of festivals around the world, but if I had to pick one moment in my career so far, definitely playing Ultra 2013 main stage. I don’t even know what happened in that set but something magical happened. My whole set, everything, just fell together, the whole crowd went so nuts and the energy we gave the energy back and forth and it kept building and building, it was just so perfect. You speak about energy, when you are doing a set, is it something that you have planned or are you spontaneous? I never know what I am going to play. I go on stage and try and read the crowd as best as possible and just play the set I feel like is coming from the crowd. Does it ever scare or do you get nervous to go on stage? No, I never really get scared, it’s more the pressure. I always want to deliver to the expectations of the crowd. I think it’s cool to go on stage and really not know what you are going to play. It’s the art of being a DJ. You know a radio DJ you have to play daily hits, but as a DJ you can play whatever you want. If you decide ten minutes before your set you want to play a tech house set, you play a tech house set. That’s why I call it the art of being a DJ. When you are in the studio, what personal influences do you turn to, to give you that beat, that sound, an experience, something that gives you the push to start producing your next track? That’s a really good question. To be honest, my inspiration comes from nowhere, seriously. Sometimes I’m sitting in the studio for a week and nothing and then sometimes I go in to the studio and bam in twenty minutes. Especially not too long ago I walked in to the studio and wrote one of the longest chord sessions I have in a long time in just twenty minutes, just came to me out of nowhere. I don’t know where it comes from. Yes, of course when I listen to new tracks, but also, going on big tours like this one, they all have an impact. When you listen to the crowd, you have true moments and you see what they like, this is a big inspiration as well. Since your career began you have worked with big names, is there an artist that you would like to collaborate with in the future? Well a lot of artists, I look up to a lot of artists, but if I had to pick one it would be Pharell Williams right now. He is super sick, he is one of the best producers, one of the best singers in the world and what I like about Pharell is that he knows exactly what he is doing. He isn’t gambling, he knows what he is doing, he knew when he was producing and writing “Get Lucky” that it would be a number 1 hit. And all the N.E.R.D stuff he is definitely one of my role models. Out of all the tracks out right now what is your favorite? That’s a good one, I think it’s “Kill the Buzz” with Shake(http://youtu.be/YZiDS3SJZ60), it’s a little more underground, I play it every set for the last 2 months. The reason why I picked this track is because in the house scene there are some really hard tracks right now and that track is the perfect blend between progressive and the hard sounds and there are not many tracks that fit that genre and that is why I like it so much. Where do you see the EDM scene going, what is the trend that you see going forward? In my opinion I think every single box will just disappear, everything will combine and there will be just a big blend no boundaries, everything will combine; especially now in the States, you see the hard stuff coming out, and acts like Headhunterz and Wildstylez doing such amazing things over here. Headhunterz closed EDC Vegas, I like a guy that doesn’t stay inside the box, with this future I think we have endless opportunities. With so many DJs on the rise, who is someone that you think we should keep on our radar for the upcoming year? Well I collaborated with a guy named Dyro, on the track “Never Say Goodbye” , I signed him to my label 2 years ago and I think he will be the highest new entry in the DJ Mag 100, he is doing so well, doing his own tours in America, selling out shows, he is doing really good. I think for sure he will be the next big thing and to keep an eye out for. This has been a great year for you, what can we expect for the remainder of the year and going in to 2014? A lot of original tracks and I am very focused on my label right now, Reveal Recordings and touring a lot of course the highlight of the year for me is my world tour, the I am Hardwell Tour we did the kick off in April. When you aren’t on tour, or working, what do you do to just kick back and relax? I like to be at home, meet up with my friends. My social life is not easy, it’s all in the clubs, so when I am home I like to see my family and friends, go to a cinema or a bar really just chillen out. When you are in Miami, what is your favorite thing to do? That’s an easy question for me, sneaker shopping. Seriously I spent over $3k on sneaker the sneaker stores in Miami are crazy for sneakers. I have been places all over the world and no other place has the sneaker shops like Miami. It’s a whole other level here for sneakers. Alright, final question, with all the super hero movies coming out this year, if you could be any super hero, who would it be? I think it would be would be Super Man, because he gets to fly and that is freedom. Freedom is the best feeling in the world. Anything you’d like to say to my readers? Thank you for all the support these years and I hope to come to your town soon so we can party hard with all of you. After our session he took the stage and the crown was dancing all night with hard beats, twinkling lights, and kicking bass until 5am. It was a great show! For those of you who missed his performance make sure to stay tuned for your chance to win tickets to see him at Mansion when he returns in December.